Nancy: Why are we still here? Alan: I hope you’re kidding. The problem I have with a lot of films that are adapted from plays is how they tend to feel a bit too theatrical, yet limited scope. They are movies that feature big performances from the cast, complete with many key monologues, yet only feel like an expansion from the stage into a larger arena, as opposed to a whole new experience brought to a more cinematic format. There are many exceptions to this, with 12 Angry Men and Glengarry Glen Ross standing out as obvious ones, and I think director Roman Polanski’s adaptation of the play God of Carnage stands on sure footing. It is almost entirely contained in one setting and functions as a scathing comedy. While very limited in scope and possessing very little in the way of a true story arc structure, the film features strong performances from the four leads and is quite funny in a fittingly European way, with tinges of Curb Your Enthusiasm-inspired looniness. Carnage is an interesting departure for Polanski, but entertaining all the same. After a brief prologue that shows, from a distance, an indiscretion involving some kids, the film moves into a Brooklyn apartment building. 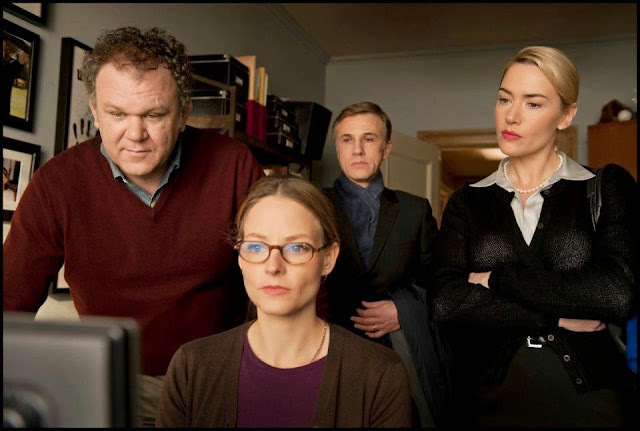 We learn we are in the house of Penelope and Michael Longstreet (Jodie Foster and John C. Reily), who are currently meeting with Nancy and Alan Cowan (Kate Winslet and Christoph Waltz). It seems that their sons were the ones who got in a fight in the opening, with the young Cowan boy hitting the young Longsteet boy with a stick, which required medical attention. The parents are now dealing with the situation, as responsible adults should. However, things are not as simple as that. The nature of each individual comes out over the course of this long afternoon, where all the participating individuals cannot seem to leave the apartment. A key proponent of frustration is Alan, who did not want to come in the first place and continues to interrupt things by taking urgent phone calls in regards to his job. Penelope is a perfect match against Alan, as she is an idealist and most likely one who tends to over-parent her children, given the frustration she has with much of the world. Meanwhile, Michael does plenty to try and be the most reasonable throughout, while Nancy tries to stave off impending sickness in a number of ways. The introduction of alcohol only makes things worse, but it is the attitude and cynical tone of everything that really exacerbates things further. I was pleased and amused by this dark comedy. I had only heard of the play, but not the details concerning the actual story. The premise turned out to seem pretty ingenious to me in its simplicity, regardless of how appropriate it may be for a film adaptation. The idea of watching two purposefully different groups (mainly separated by class) have an extended debate about one particular matter, only to lead into increasingly frustrating discussions about a number of different topics related to societal issues is quite entertaining in its own bizarre way. The comedy is handled with a sharp sensibility, which makes for cringe-inducing character actions and interactions that cut incredibly deep in their insulting nature, despite the supposed proper intent, initially anway. The movie had me laughing quite a bit, but never without realizing how biting the whole thing was. Nancy: You think our son is a snitch? Michael: I don’t think anything. Nancy: Well if you don’t think anything, then don’t say anything. The actors chosen to portray these characters are all a perfect fit. Sure it does not present much of a challenge for these particular talents to play roles that they can easily nail, but with that said, they do easily nail their roles. Particular credit goes to Jodie Foster and Christoph Waltz. So far, since his Oscar win for Inglourious Basterds, Waltz has only popped up in major film roles that emphasize his talents for being a well spoken and precise villain. Here takes these talents and has them fitted to the role of a cut throat lawyer who is a straight shooter in his delivery. Foster becomes more and more outraged throughout the proceedings, which in turn grants her the chance to become more and more hilarious. 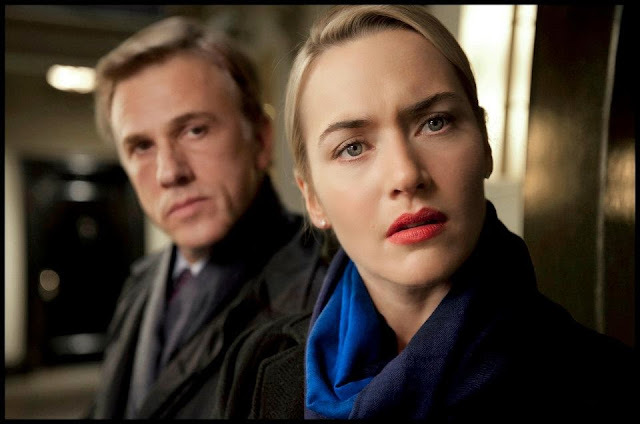 I do not want to short change Winslet or Reily either, as they both are well-suited to matching up to the others and becoming hysterically hysterical at the same time. Clocking in at a fairly fast-paced 80 minutes, with credits, Carnage certainly does not have a whole lot to offer in the way of carefully constructed story arcs, but it makes up for it by utilizing the location and having a lot of fun with fitting these characters into a small space and having plenty for them to do and discuss. Polanski enlivens this film with his directorial touches, which amount to more than just letting the actors sit in a room together and argue. Camera placement and how the setup and geography of the apartment is handled works well to maximize the comedic tension in this film and it very much works as a play-turned-movie. As there is not a lot to the film, I find that I don’t have much else to say. I was happy with this film overall, as I had a very good time laughing at all the ensuing chaos that emerged from what should have been a simple meeting between two relatively understandable groups. It is not really a challenging film for various reasons, but it doesn’t need to be. 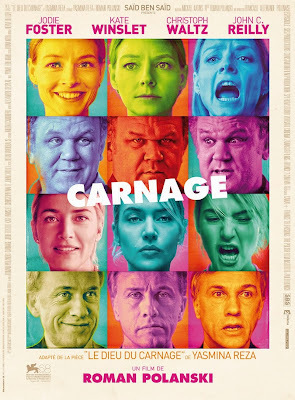 Carnage is an entertaining divergence for a more adult crowd, despite its occasional dalliance into the immature nature raw human reactions under duress. Bring a skewer and have some fun. Penelope: Why are we still in this house! I wanted to take time to inform you how much your work lightend my day. It is incredible how a piece like yours can enliven people. Hope you make more writing like this one.